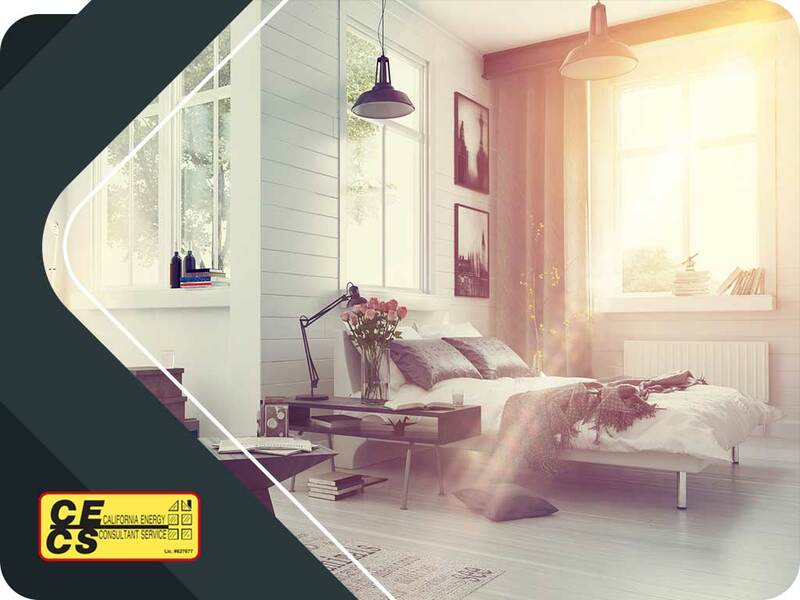 Daylighting is when you use your windows and skylights to bring the sunlight into your home in an attempt to make things a bit more energy-efficient, since windows don’t only bring light in but also passive solar heating. Effective daylighting will lead to less energy use, as you will depend less on artificial light sources and indoor heating. In this article, our experts at California Energy Consultant Services discuss how you can make daylighting work for you. When it comes to window replacement, there are many factors to consider in daylighting, such as window type, placement and interior design to maximize the sunlight. One of the ways you can make daylighting work for you is with the window placement. For instance, if your window faces south, it will help with energy efficiency in the winter since it will allow the most light into your home; while in the summer, there will be less direct sun, allowing your home to stay cool. North facing windows can also keep your home cool as they get relatively even light and produce little to no summer heat. Avoid east and west windows, however, as they don’t work very well for daylighting. While they provide light during the daytime, they often let in excess heat during the summer. If you’re worried about glare in your windows, however, you can have hoods installed around your windows outside. They also aid in cutting down summer heat, which would make your home cool and comfortable. Tinting can also help keep your home or your office cool. Of course, take into account the window type you plan to install, as there are plenty of energy-efficient options you can choose from. One of your best choices is the Electrochromic Window, which changes with the sun’s brightness and darkens to keep excess heat out. If you’re in need of help regarding your window this spring, simply turn to us at California Energy Consultant Services for your residential window replacement needs. We are your leading provider of window, HVAC and home performance services. Give us a call at (916) 239-7779 or fill out our contact form to learn more about our services or to request a free consultation. We serve clients in Rancho Cordova and Sacramento, CA, and other nearby areas.